It's a strange sort of wanderlust that books provoke in me. It's not necessarily that I want to visit the places they're set in. But when a book has open spaces and characters intertwined with landscape, I crave those same things and become aware of how detached I am from the land in this city. 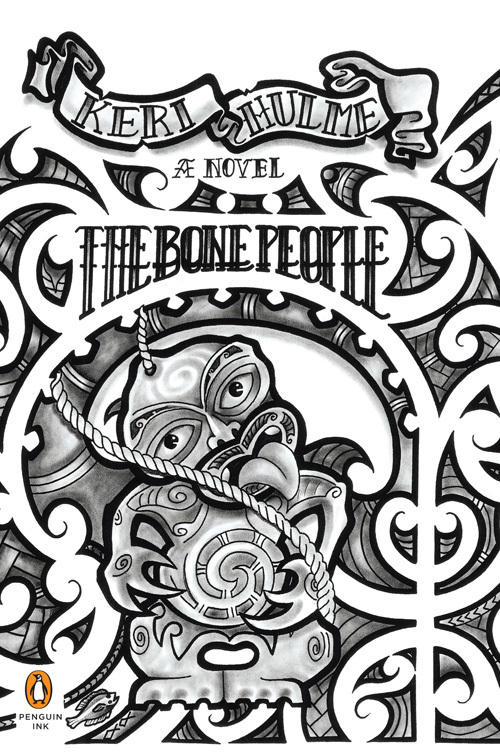 The Bone People is vivid on nearly every level and I loved it from the very first pages. And although the story grows compelling and action-oriented when I expected it to stay still and simmer, it was a book that made me read more slowly than I'm usually wont to. Sometimes its vividness is startling. There were passages that made me inhale sharply and turn away from the page. But there's something indefatigable about each of the three characters that makes them very compelling. We're given access to their streams of consciousness and - thereby - see how three people, wholly connected, inexorably and ineffably, can yes feel utterly isolated, misunderstood. They want to bare their souls to each other as a testament of who they really are (and, by doing so, to be loved) but they have only words and actions to convey that, and their human foibles too often get in the way. I've rarely seen loneliness and isolation in close quarters portrayed so poignantly. More than the sometimes-thin plot and despite the geographical and cultural emphasis, this is a character-driven novel for me. And these characters are ones I will think about for a long time and who definitely call to be read and reread. P.S. Thank you again to Andrea for the recommendation! I rarely take book recommendations, but I'm glad I made an exception here.